I'm Margaret McCarthy, and I'm surprised and honored to serve as the first female President of the United States of America. President McCarthy is making America the world leader in energy policy measures aimed at halting climate change. Read more. President McCarthy believes everyone should have full access to a high quality public education, regardless of economic, cultural or social background. Read more. Practicing peace and nonviolent conflict resolution, we are here to help. Read more. Because disease knows no borders, and contagion does not discriminate, our social wellness depends on a system of care that can be accessed by all. Read more. We believe in a land-first approach to the Interior—meaning that our ability to positively impact the well-being of our planet will in turn positively impact every citizen in every community of our country. Read more. The Department of Justice is committed to upholding the individual rights and the system of laws that make the United States the longest-running democracy in the world through fair and equal implementation of civil and criminal laws. Read more. 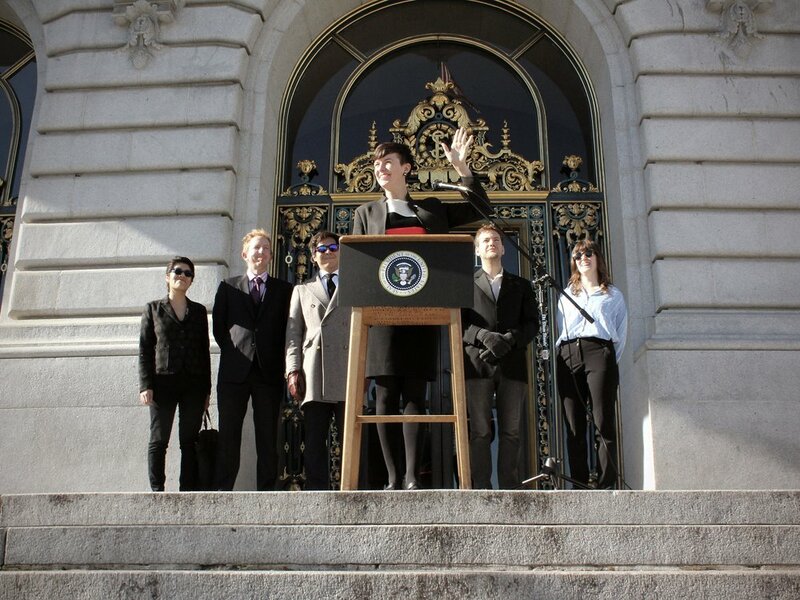 The President was sworn into office in January, 2017, on the steps of San Francisco City Hall, to a crowd of supporters. Get news on the first female President's actions and initiatives via email.